Our modern villa stands in 1/4 acre of landscaped gardens and enjoys uninterrupted panoramic country views. At the rear of the property is an extensive lawn and the gardens have been planted with many shrubs and trees. The villa is surrounded by hedges giving privacy and seclusion. Shops, restaurants, bars including free Wi Fi are a mile away at San Clemente. Mahon and beaches are 5 and 15 minutes drive away. 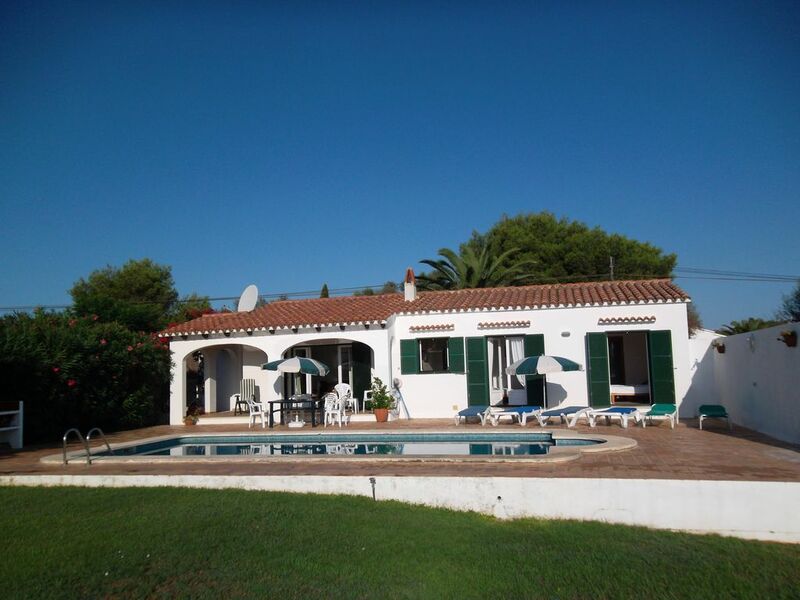 The villa is fully licenced for letting by the Consell Insular De Menorca. Free unlimited broadband is available in the villa. Binixica is a small private estate set in the countryside on the south side of the island. Infants under 2 free of charge. Cot hire and sheets available from villa manager. Welcome pack on arrival. On arrival you will find a welcome food pack containing essential items. All linen and towels (except beach towels). Weekly maid service to change linen and towels. Parking. Large lawn. Uninterrupted panoramic country views from extensive terrace. Sony CD/radio/cassette player. New (2012) Samsung 43 inch plasma satellite TV receiving some UK channels. DVD player. 3 fans. Modern kitchen.